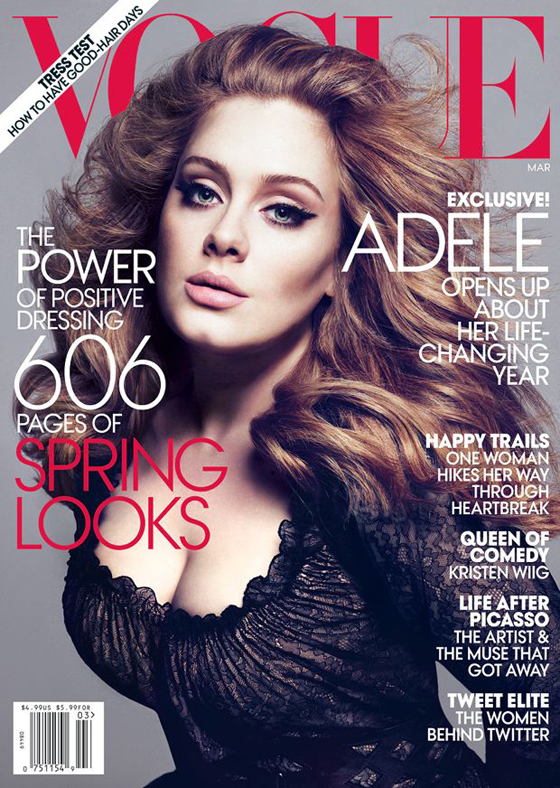 By now, many of you have seen the incredible March Vogue cover featuring Adele and the photos have been traveling around the web. But I really had to post them because 1. they are really beautiful, 2. she is really beautiful and 3. well, I want to. Ha! 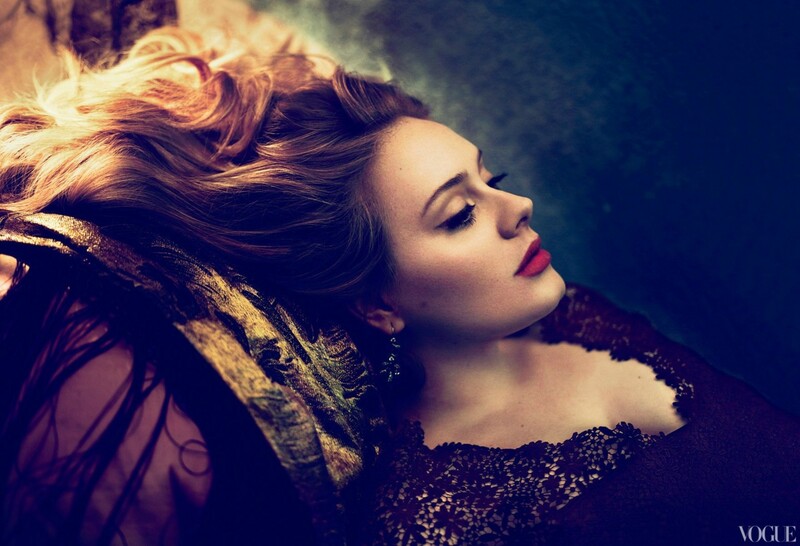 I will say this, and yes it's been said before but though these photos are gorgeous, the styling, the photography...artistic and wonderful however, the one full body photo is Adele laying down on top of lovely beautifully colored randomness. Every cover she's on is chin up...not just Adele but any woman with a body exceeding than the acceptable maximum curve-ishness capacity (i.e. Kim K, JLo and the likes).